A.M.P Rose has seen in recent years that customers are increasingly looking for complete solutions to their weighing and packaging problems. 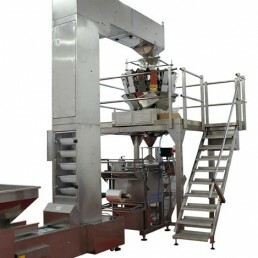 The company is well equipped to supply bagging machines with complete packaging systems. Dry, frozen, fresh, wrapped, hardware, powder, liquid and more.